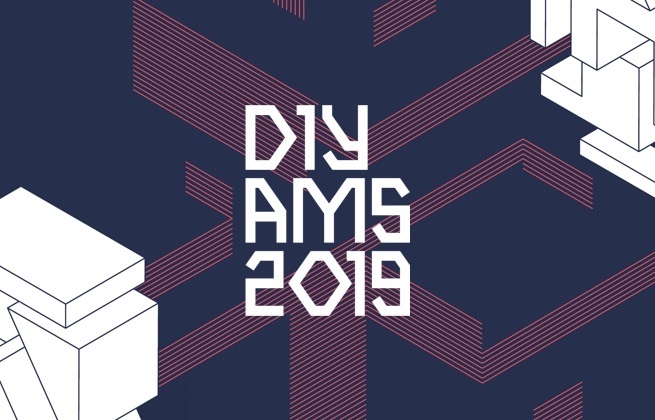 This ticket gives you access to the Diynamic Festival Amsterdam 2019 on Saturday, 1 June 2019, 12:00 - 23:00. After leaving the event area, the right of access to the event site expires. With a variety of options available for your stay, Via Amsterdam Hostel has fantastic links on the nearby Metro to Amsterdam and nearby train to the Airport. Located right behind the east of the city, Via Amsterdam is only a 6-minute metro ride away from the city centre and just 12 minutes to Amsterdam Central Station. The hostel features The Dude which is a restaurant where you can enjoy some rich in flavour food. The Steigenberger Airport Hotel Amsterdam is located just 7 km away from Amsterdam Airport Schiphol, 15 km from the city center and directly opposite the Amsterdam forest, an ideal spot for running, cycling and walking. Conveniently, there is a free Schiphol Airport shuttle service which reaches the airport within 10 minutes, and another one to the city center of Amsterdam in 15 minutes at an additional charge twice a day. Enjoy a restful sleep in one of 440 rooms and suites with soundproofed windows. Warm, earthy tones and natural materials ensure a feeling of ease and comfort. Rooms are comfortably furnished with a flat-screen TV, air-conditioning, work desk, safe and minibar. Suites also offer dining areas, plus living areas with pull-out sofas. Room service is available 24/7. The hotel's Lifestyle Club & Active Spa has a steam bath, a heated indoor swimming pool, a relaxation area with an outdoor terrace, and saunas. Guests can also enjoy a relaxing massage, rent a bike or work out in the fitness room. The onsite restaurants & bars are great places to take a culinary voyage around the world and sample the fare on offer at our restaurants. There's something for everyone: from connoisseurs of Italian cuisine to vegetarians to aficionados of international specialties. Amsterdam Forest Hotel is located on the edge of the Amsterdam Forest, just a 15 minutes drive from Schiphol Airport and a 5 minutes drive from Amsterdam. 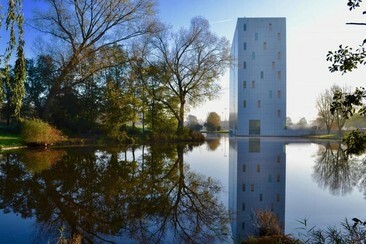 Schouwburg Amstelveen is 1.7 km from the hotel, while Cobra Museum is 1.5 km away. Guests can enjoy an extensive organic and Fairtrade breakfast buffet with fresh products and relax in contemporary bar/lounge with a fireplace. This property offers bike rental. All fully sound-proofed and air-conditioned rooms come with a flat-screen Smart TV and a Nespresso coffee machine with tea facilities. 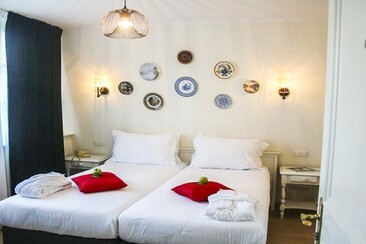 The rooms are fitted with a private bathroom with a walk-in rain shower, free toiletries and hairdryer. Alp de Veenen Hotel is quietly located by the water. 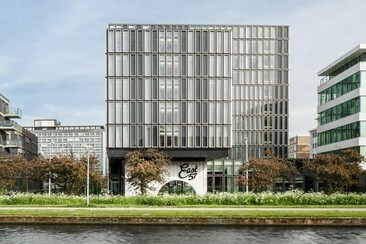 The hotel is centrally located within a 15 minutes' drive from Amsterdam, Schiphol Airport, the World Fashion Centre, the Amsterdam World Trade Centre and the RAI convention. The hotel is open all year round and reception is open until 24:00. The bar is open from the early morning till midnight. Drinks are also served on the terrace. The hotel has 25 rooms with en suite bathrooms with a shower, bath, toilet and hairdryer, TV and a telephone. 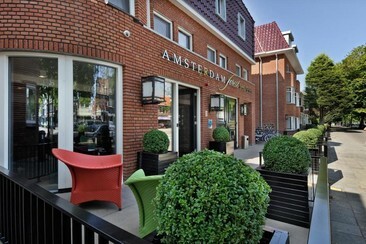 Ammonite Hotel is located in a green area of Amstelveen, 3 km from Amstelpark and 7 km from the Van Gogh Museum. 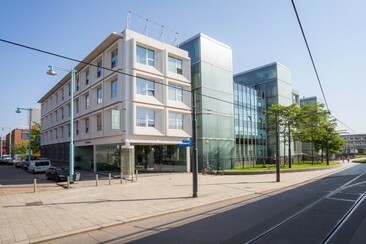 The Metro stop is 1 km away and Schiphol Airport is 8 km from the property. This 4-star hotel has a geological theme of gems, minerals, meteorites and fossils. The hotel features a gym and wellness area with hot tub, sauna and steam room, restaurant and bar, plus scooter and bike rentals. All units at the hotel are equipped with a flat-screen TV with satellite channels, air-conditioning and a private bathroom rooms feature a desk. Most rooms come with a fully equipped kitchen. Diynamic Festival Amsterdam is an electronic music festival in the Dutch capital. Heading into its seventh year, the festival annually curates a lineup of underground talent. Founded in 2006 by DJ/producer legend Solomun and Adriano Trolio, Diynamic Records has become one of the scene's most respected, hosting festivals and club nights across the globe. Returning once again to the scenic Amsterdamse Bos, organisers have promised this year's edition to be full of surprises and the biggest yet to date. Amsterdamse Bos is a lush, forested park roughly three times the size of New York's Central Park.